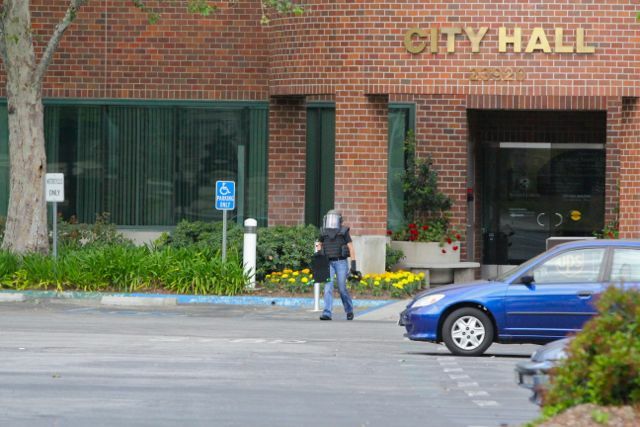 Santa Clarita City Hall was evacuated Wednesday morning after city employees discovered a suspicious box, officials said. They erred on the side of caution and called the Los Angeles County Sheriff’s Department who then dispatched the bomb squad, according City of Santa Clarita Spokeswoman Gail Ortiz. As a precautionary measure, sheriff’s deputies shut down Valencia Boulevard between Magic Mountain Parkway and Citrus. Technicians X-rayed the box and opened it, finding it to be empty. Authorities deemed the package safe and evacuation orders were subsequently lifted. City Hall and Valencia Boulevard are both open as of 9:10 a.m.